Today's post will be one of a three-part set of posts featuring three of the latest Limited Edition collection by piCture pOlish! Swatches of these gorgeous shades have been floating around here and there since February, I believe, but I am not one of those lucky bloggers who gets sneak previews (yet? *bats eyes at my favourite brands*), so I had to wait just like the rest of you. 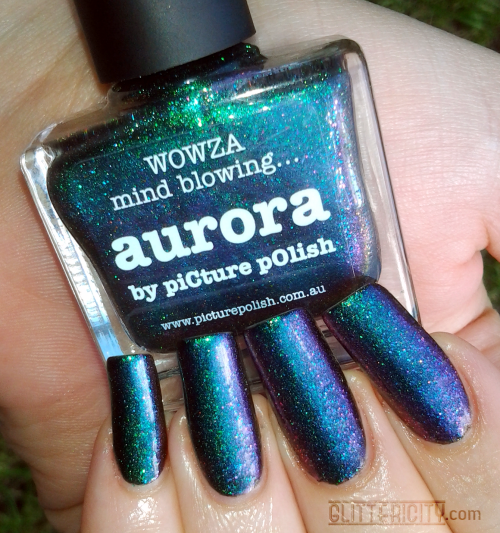 I never saw Aurora's partner Borealis in stock, and I decided to pass on Illusionist and Altered State (also gorgeous, but similar enough to these that I could get away without them) to focus on the three most unique. These are all multichromatic shimmers with PP's signature scattered holo flakes, and they're amazing! I call them "galaxy manicure in a bottle", and I think you will see why. So over the next three days, I'll post about a million photos :D prepare for pic-heaviness, and let's get this party started! 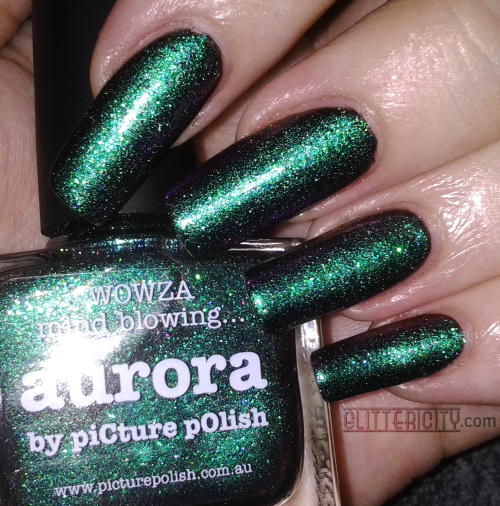 First up is, in my opinion, the star of the collection: Aurora! This shade is basically what you'd get if you mixed Gravity, Illusionist, and Altered State together, then threw in colour-shifting glitter for good measure. It shifts blue, teal, green, purple, pink, yellow... it's fantastic! One of my favourite pics... just so much going on here! As you can see, she is not the least bit intimidated by the threat of low-light. 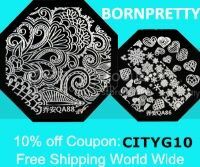 You can see the glitters more here. Those also shift--pink, purple, teal, and green. Indoors with flash, it's almost exclusively teal/green. Well hello there, rosey purpley pink, so glad you could join us. As you can see, every angle is different. 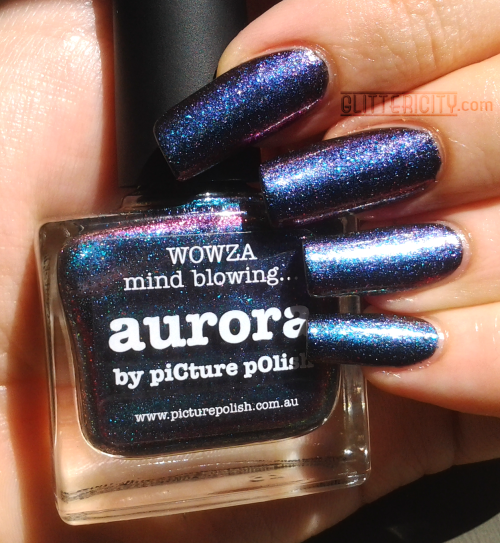 This polish was designed to be 100% boring-proof! This was also the closest I got to capturing the yellow-gold part of the shift, just in some of the droplets. It's the only colour that showed up more in the bottle than on the nail. I can forgive it. And last, my favourite pic of this whole set. It doesn't even look real! I know--it's hard to believe all those pics were of the same polish! Even more amazing, this shade is still available. Grab it quick while you can!